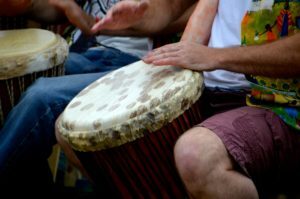 Drumazepam – drumming to support your mental well-being, like diazepam but without the side effects! 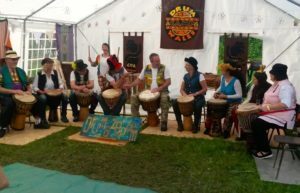 It now has 12 members and welcomes anyone wishing to join them on Tuesday nights at the Goytre Scout Hut, 7:00pm ‘til 9:00pm. 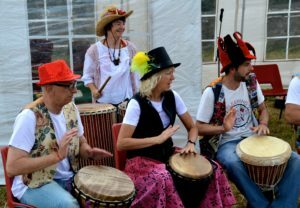 If you don’t have your own drums, please contact Larrie on 07770 961165 to book a drum.